The international community is raising growing concerns over the renewed violence in the disputed Nagorno-Karabakh enclave in the South Caucasus, urging the Armenian and Azerbaijani combatants to deescalate tensions. As of Monday, at least 18 soldiers have been confirmed dead in the fighting that flared over the weekend in the ethnically Armenian enclave of Nagorno-Karabakh. Thirteen Azerbaijani soldiers are among the dead, according to the country’s Defense Ministry. 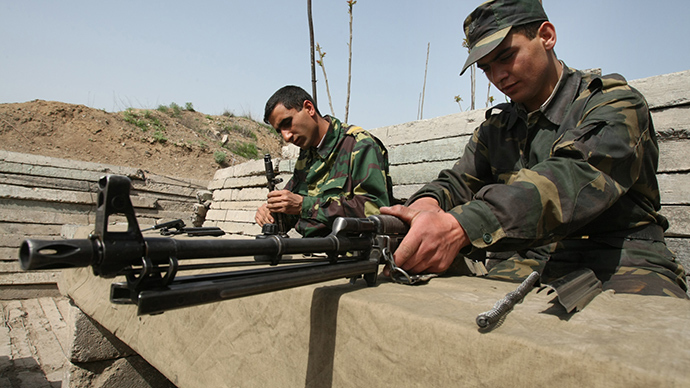 Armed forces of the unrecognized Nagorno-Karabakh Republic say five of their soldiers have died in the violence. The disputed region has seen a largely undisturbed ceasefire, or frozen conflict, since 1994, even though technically Armenia and Azerbaijan are still at war. Occasional shooting incidents in no-man’s land over the years have resulted in the deaths of dozens of soldiers on both sides, however. The OSCE Minsk Group on the Nagorno-Karabakh conflict, which is co-chaired by Russia, the United States and France, urged the parties to show maximum restraint and prevent further fighting, Russian Foreign Minister Sergey Lavrov told Itar-Tass news agency on Monday. Washington has also expressed concerns over the escalating tensions in the region, stressing that there is no military solution to the conflict. “We extend our condolences to the families of those killed or injured and call on the sides to take immediate action to reduce tensions and respect the ceasefire,” US State Department spokeswoman Marie Harf said Monday. “The United States urges the presidents of Armenia and Azerbaijan to meet at the earliest opportunity to resume dialogue on key issues,” she added. 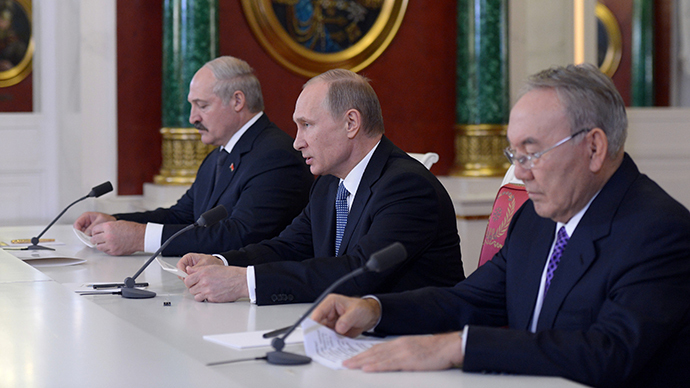 The Armenian and Azerbaijani presidents are scheduled to hold separate meetings with Russian President Vladimir Putin this week in Sochi in southern Russia, Lavrov said, stressing that the leaders will most likely discuss the situation in Nagorno-Karabakh. On Sunday, the European Union urged both sides to respect the ceasefire and refrain from the use of force or threats. "We reiterate our full support to the efforts of the OSCE Minsk Group and the work of the three co-chairs, especially with regard to the need to continue negotiations at the highest level, as was agreed at the meeting between presidents of Azerbaijan and Armenia in Vienna on November 19, 2013," the EU said in its statement. 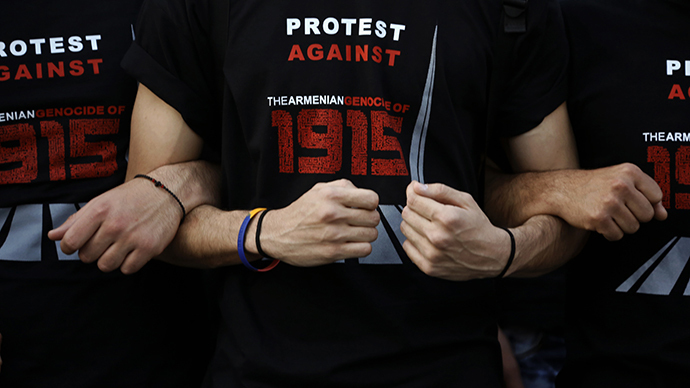 Iran also called on Armenia and Azerbaijan to hold talks and reach an agreement following the renewed violence. Meanwhile, Baku’s major regional ally, Turkey, announced its support for Azerbaijan and its armed forces, Trend news website reported, citing Azerbaijan’s Defense Ministry. 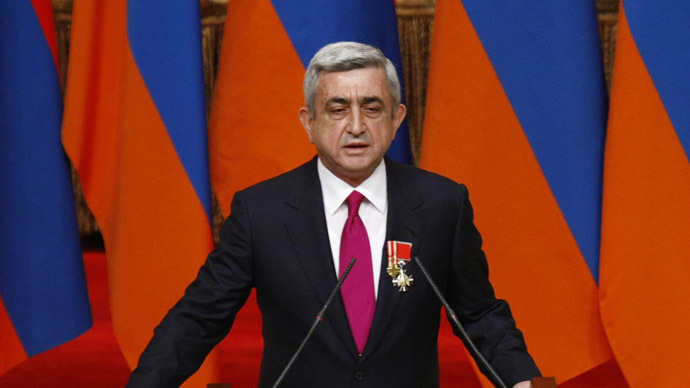 During the confrontation over Nagorno-Karabakh, which broke out in 1988, the region – then populated by a majority of Armenians, but also by some Azerbaijanis – sought independence from Azerbaijan and announced its intention to join Armenia. In 1991, the Nagorno-Karabakh Republic was founded. Azerbaijan, which became an independent country, as did Armenia, with the dissolution of the Soviet Union in 1991, tried to regain control over the territory, and the conflict escalated into a full-scale war which claimed the lives of around 30,000 people. The conflict ended in 1994, with Nagorno-Karabakh’s independence remaining unrecognized and the region remaining a part of Azerbaijan according to Baku’s legislation. Yerevan has been supporting the Nagorno-Karabakh region, representing its interests in an official capacity.